There's a strong echo of Who's Afraid of Virginia Woolf? 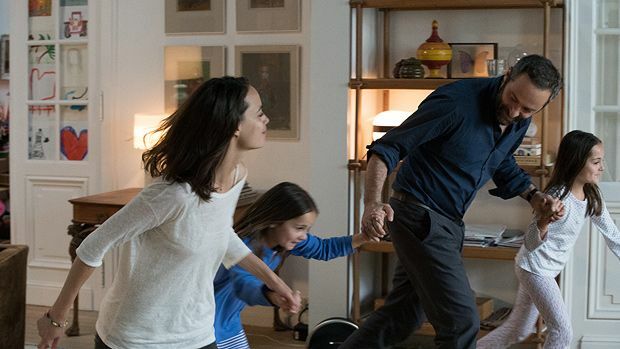 in Joachim Lafosse's After Love, as the director casts an unflinching eye over the prolonged death rattle of a relationship. After 15 years together, love has become a battleground for Marie (Bérénice Bejo) and her partner Boris (Cédric Kahn). Petty grievances have mushroomed into a state of permanent hostility and the situation is only made worse by the fact that they still share a home. Lafosse effectively captures the way every little moment is laced with conflict when a couple struggle to maintain even a semblance of civility. Marie has provided the bulk of the finance to buy the family home, she pays the mortgage and feels the greatest sense of injustice. The unemployed Boris describes himself as an 'architect'. He has renovated the entire house and wants that work reflected in any financial settlement that is achieved. Until then he is going nowhere, even if it means sleeping in his office. The discomfort of friends obliged to play spectator to the couple's skirmishes and the way their two daughters are used as weapons all feels depressingly true to life. We rarely glimpse the love that sustained the couple in happier times, although there is a sense that neither is completely prepared for a parting of the ways. Lafosse's previous films, from 2006's Private Property to 2012's Our Children, have explored the devastating fallout from fractured relationships. After Love is no less intense or well observed. Bejo's steely, exasperated Marie initially seems the more unreasonable of the duo but gradually earns our respect. Kahn invests Boris with a gruff, bear-like charm that makes him seem the more approachable one. Both actors play the characters to the hilt, and the camerawork intensifies the constricting confines of the family home and the sense of everyone being trapped in a living hell. After 15 years together, Marie (Bérénice Bejo) and her partner Boris (Cédric Kahn) are breaking up, but they still share a home. Intense and well observed study of the prolonged death rattle of a relationship, with both actors playing the characters to the hilt.